YESSSSS! 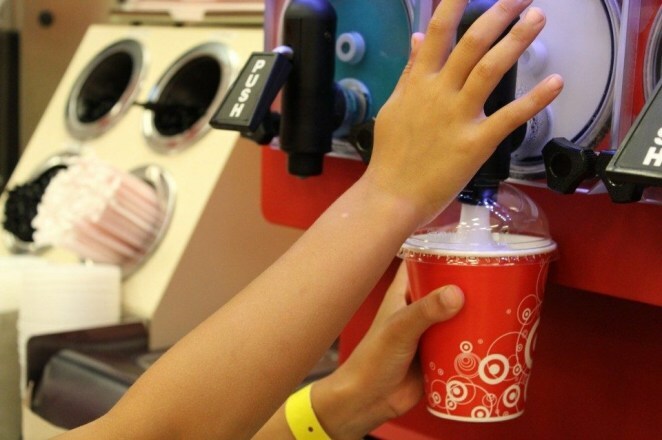 Save on Target Cafe Icees with a RARE Offer! I can’t tell you the amount of times that Target Icees have saved my sanity! I mean, they are already super cheap, and when my kids go to Target with me, I bribe them with an Icee. They love them, and I love that they behave so much better with the promise of an Icee at the end of the trip! There is currently a RARE Cartwheel Offer to save 20% on Icees at Target! Go ahead and save it here so you can save on Icees when you go to Target this week to score all of the hot deals that are available! The offer does end on Saturday, April 21 so you still have a few days to use it. FREE Smith & Cult Lip Gloss (After Credit)! RUN DEAL! Minnie or Mickey Disney Baby Walker and Rocker Bundles $33 (reg. $87.75)!